So you've ordered bulk branded promotional umbrellas from the team at Umbrella Planet, now what? Well it's important to care for your umbrellas and to keep them clean to ensure they last as long as possible. While the majority of panels on branded daily use umbrellas are composed of nylon or polyester (with additional waterproof coating), they do still need to be kept in the best condition possible when you're not using them. Nylon is an incredibly durable material that can withstand all sorts of weather, but it’s easy to take this durability for granted. Even hardy products like umbrellas need a clean sometimes, particularly if they end up covered in mud or dirty water during a bad storm. The best way to clean your custom nylon umbrella is by gently scrubbing it down with a washcloth soaked in warm water. This should remove any mud or dirt without damaging the nylon fabric. If your umbrella has built up mould or needs a deep soak, please refer to the cleaning instructions packaged with the product before treating it with chemical cleaners. 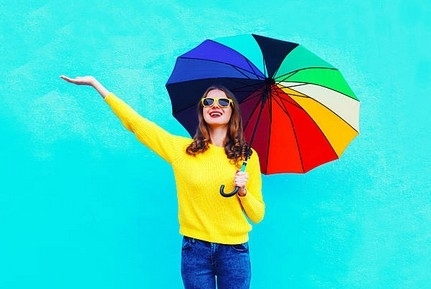 Some harsh chemicals can strip back the nylon’s waterproofing, so always double check the manufacturer’s recommendations before applying store bought cleaners to your umbrella. Promotional outdoor umbrellas can sometimes be made of polyester rather than nylon materials. Polyester umbrellas are designed for prolonged exposure to the elements. However, they can fade after a period if you do not care for them properly. That's why regular gentle cleaning with warm water is the best way to keep your promotional outdoor umbrellas in showroom condition. As with the smaller nylon umbrellas, if you're considering using harsh chemical cleaners on polyester umbrellas, please ensure you refer to the manufacturing information first to make sure it's safe for your specific umbrella. Umbrellas are items designed for long term use. If you treat your custom printed umbrella with care then it will last you for many years to come. 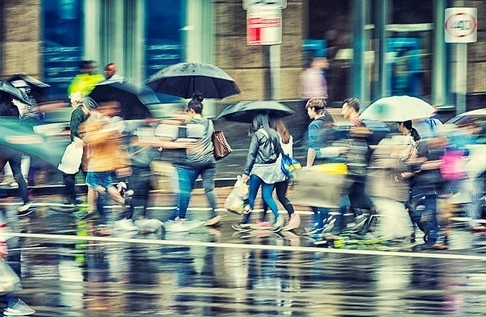 When your custom umbrellas eventually need replacing, be sure to get in touch with Umbrella Planet for the best bulk printed umbrellas in Australia.